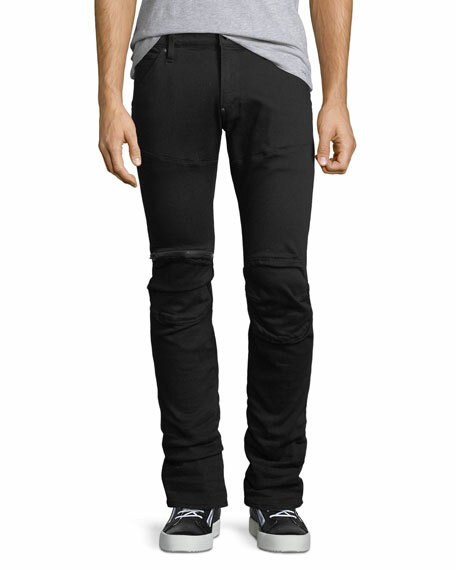 G-Star "5620" 3D zip-knee jeans. Zip detail at right knee. 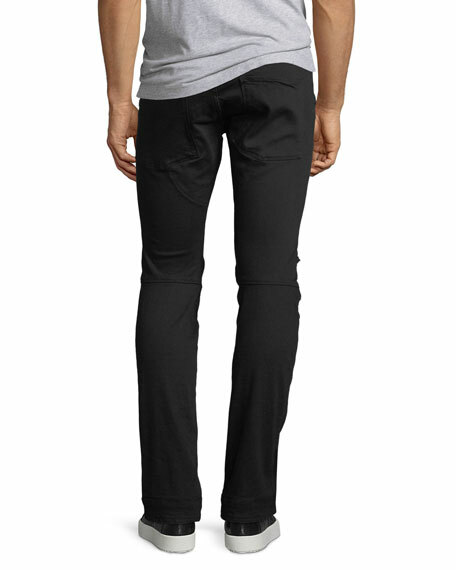 G-Star RAW is the modern denim brand. For more than 25 years, G-Star has been a denim pioneer with a dedication to untreated denim and originating the concept of 3D denim. The G-Star philosophy has always been "Just the product," focusing on denim craftsmanship and innovation. 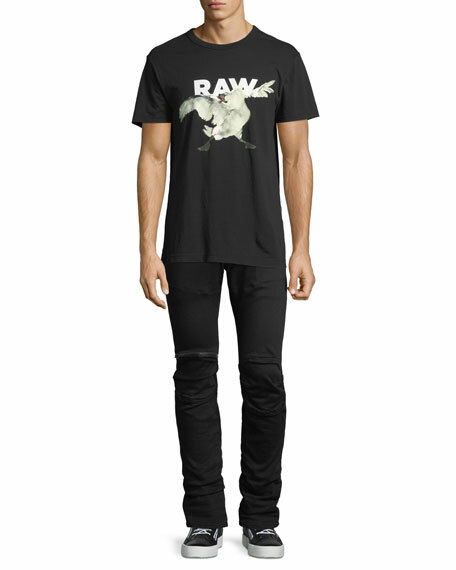 Since the premiere of RAW Denim in 1996, G-Star has broadened its concept to include a newer, edgier image appealing to all styles, trends and ages, while keeping the product in the purest form. Authentic details and functional attributes give the collection a strong sense of identity. The G-Star brand is a style for all times: futuristic and cautious, far-reaching and experimental, alternative and traditional. G-Star is about making eccentric combinations and maintaining authenticity. Never be one to follow the crowd, just the product. For in-store inquiries, use sku #2451174.